Medical Malpractice and how “Torts” work. Medical malpractice is a tort. A tort is an act, or failure to act, that deviates from an accepted norm. There are many torts: liable and slander, assault and battery, automobile negligence, intentional interference with advantageous relations, certain types of product liability, among many others. The “duty owed” is the accepted norm. In automobile negligence the duty that is owed is to obey the traffic laws of the State of Michigan and the local municipality. Don’t drive drunk. Stop at a stop sign. Obey the speed limit. Moderate speed pursuant to conditions. Drive with reasonable prudence. Determining the duty which is owed is more difficult in medical malpractice than in other torts. That is because there are no statutes, ordinances, or any other “cookbook” statement of the specific duties owed by specific professionals. The duty that is owed is that which the plaintiff’s qualified expert asserts it is. The more rigorous the qualifications of the plaintiff’s expert, the more supportable his/her assertions of the duty. In order to be qualified, the professional must practice and/or teach in the same field as the potential defendant. Only an orthopedic surgeon may testify against an orthopedic surgeon as to a duty and a breach of duty. Only a registered nurse may testify as to the duties owed by a registered nurse. If an orthopedic surgeon practices regularly operating on knees and has never operated on an elbow, even though that orthopedic surgeon may be qualified in a technical sense to testify against the orthopedic surgeon who operates on elbows, it would be unwise to employ that orthopedic surgeon. The closer the match and the more profound the credentials of the plaintiff’s expert, the better the statement of the duty and breach of duty. Care must be exercised in choosing experts. The element that is most difficult in medical malpractice is the fourth element: proximate cause. Proximate cause is a direct cause. An analogy is automobile negligence. If one vehicle goes through a stop sign and strikes another vehicle, the injury to the occupant of the second vehicle was proximately caused by the first vehicle having ignored the stop sign. There are many interesting examples. When performing a hysterectomy, the surgeon will excise the womb. In doing so, the surgeon will be operating at times in an area called the “utero- vesical junction”. The bladder is close to the womb. The ureters run from the kidney into the bladder through the utero-vesical junction. The utero-vesical junction is not visible in the surgical field during a hysterectomy. Because the ureters are not within the surgeon’s field of vision but are very close to the area where the surgeon must excise the womb, it common for a ureter to be damaged during surgery. It is not a breach of the standard of care to damage a ureter during surgery. The standard of care is for the surgeon to reach in with his/her fingertips and feel the ureter in order to make sure that it has not been damaged during the procedure. If the ureter junction has been damaged, the standard of care requires that it be repaired either during that surgery or as shortly thereafter as possible. If it is not repaired within 90 days, the kidney may die. The breach of the standard of care is for the surgeon to fail to appreciate that the ureter had been damaged and to have the same repaired. In this instance, without an intervening cause, should the ureter remain damaged for a sufficient length of time resulting in the death of the kidney served by that ureter, there is a clear proximate cause link between the breach of the duty and the injury. But what if the patient had a co-morbidity affecting the subject kidney? What if, upon closer examination, it was determined that the subject kidney was diseased for some reason unrelated to the damaged ureter? Then the damage to the kidney might not be proximately linked to the breach of the standard of care. 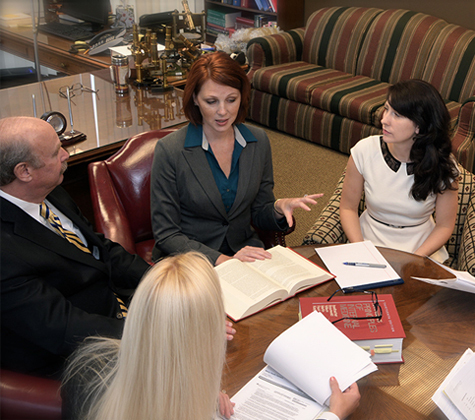 When evaluating medical malpractice the attorney must take special care to examine all four of the elements in detail. If you or a loved one has been injured due to Medical Malpractice, call (248)619-0700 to speak with one of our attorneys.